Luigi is responsible for the marketing of a local Pizza Restaurant chain, ‘Mamma Italia’. In a radius of 20 Miles ‘Mamma Italia’ runs five Pizza Restaurants, all family owned. The first restaurant was opened over 25 years ago by Luigi’s father Mario, who’s been called the ‘Godfather of Pizza’ ever since. Luigi is always in search for interesting marketing tools to get pizza friends from all over the place to visit his restaurants, and to spread his message of “Pizza è amore” across the region. With the sixth Pizza Restaurant to open soon, Luigi wants to make a special effort in marketing. 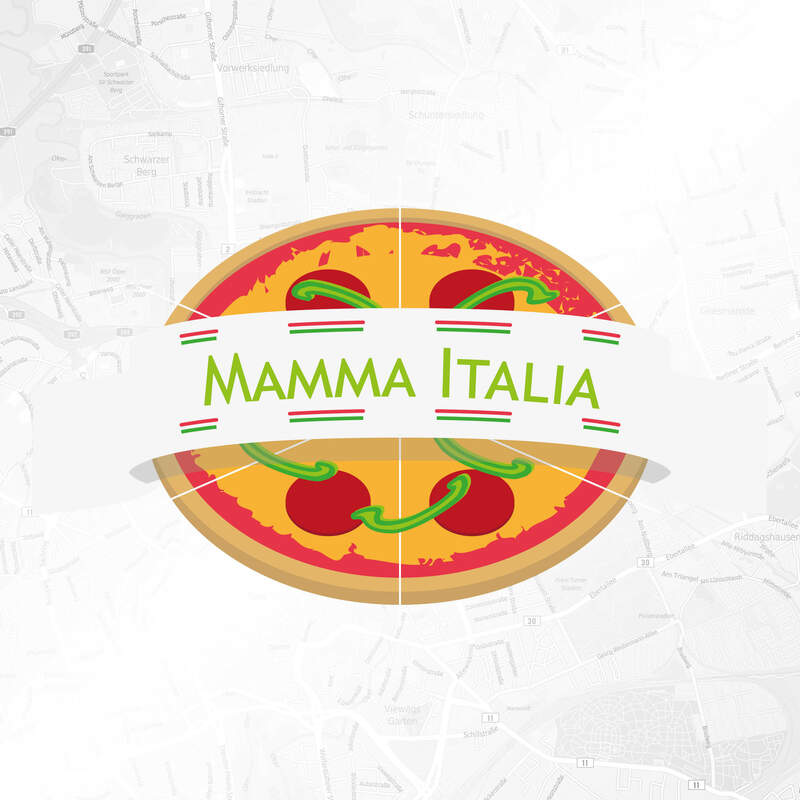 He needs a marketing tool that helps him show his customers where the ‘Mamma Italia’ Restaurants are located in the area and which Restaurant is closest to each customer’s home. Further he wants to create a special invitation to promote the opening of the newest Restaurant with. locr maps can help Luigi achieve all these criteria. He can use the LOCALmap to show his customers, where in their area ‘Mamma Italia’ Restaurants are to be found. Using the visual design, Luigi creates a greater engagement with his prospects and further gives all the relevant information. Thus it helps him to drive more traffic to his locations. To make the map even more individual, it can be created according to Luigi’s requirements such as the ‘Mamma Italia’ logo. So everyone immediately knows the exact location of the new place. Luigi can also use a NAVImap to show each customer individually which Restaurant is closest to his or her home, and which route leads them there in the shortest time. He can even add distances and travel times: ”Mamma mia! Just 1 Mile and a 15 minute walk to the world’s best Pizza di Mario!” This lets his customers know, how close the pleasure of a delicious homemade Pizza exactly is. Using a MULTImap, Luigi can give his customers a detailed description from start to finish to help them to find a new Restaurant. 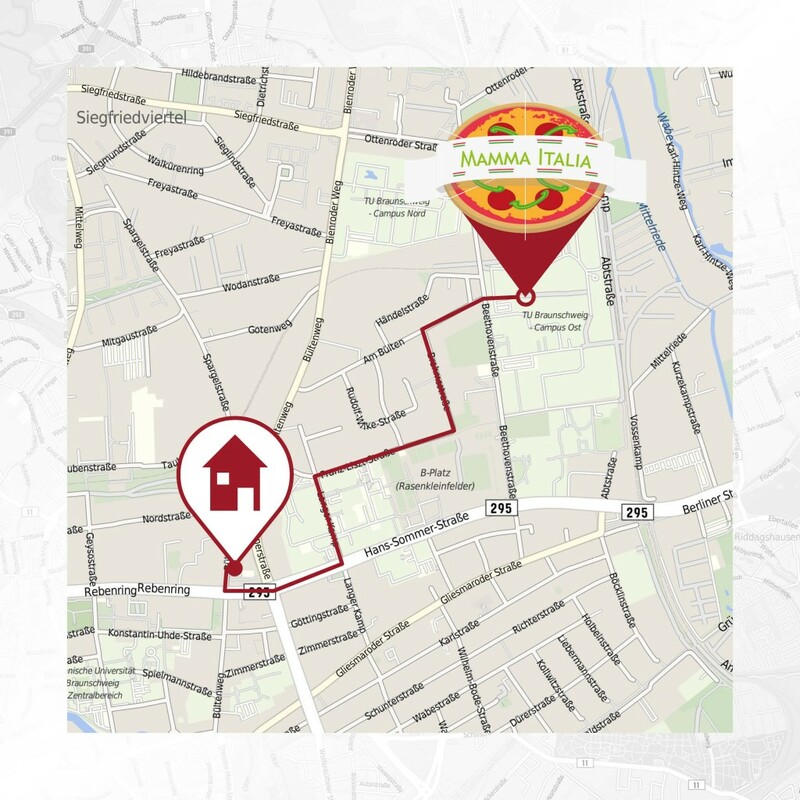 This type of map is perfect for use in the invitation for the opening of the sixth ‘Mamma Italia’ Restaurant. 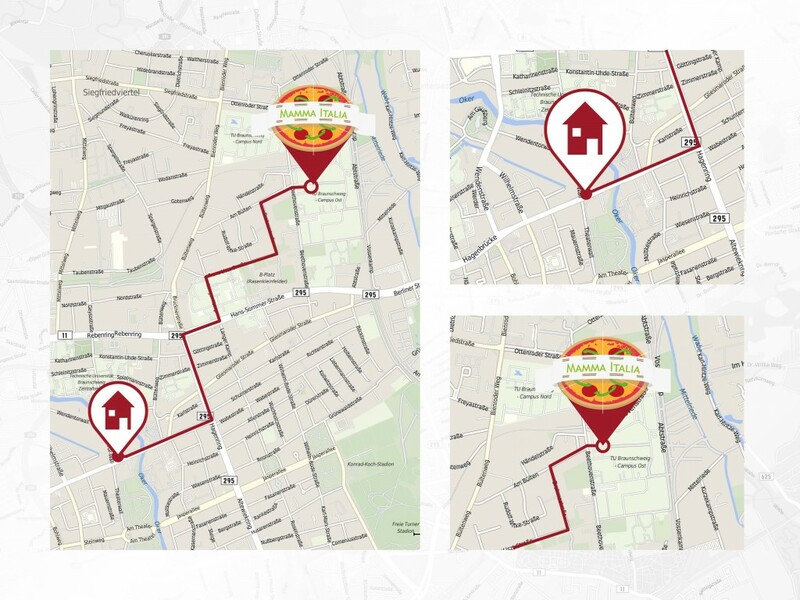 It shows the prospects where the new Restaurant is located and how they can reach it using shortest route. Using a MULTImap gives the reader all relevant information about the opening, including the show act of Luigi’s sister Peach, who celebrates big successes as Pizza dough acrobat. 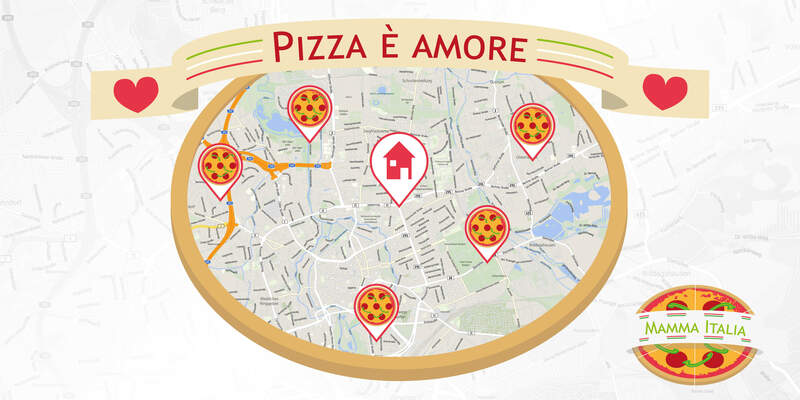 The range of the locr maps helps Luigi to easily add personalization to his marketing campaign. This personalization – and the visual presentation – gives him the possibility to create greater engagement with his prospects, achieve higher response rates in direct mail, and most importantly, drive business to his Restaurant locations.